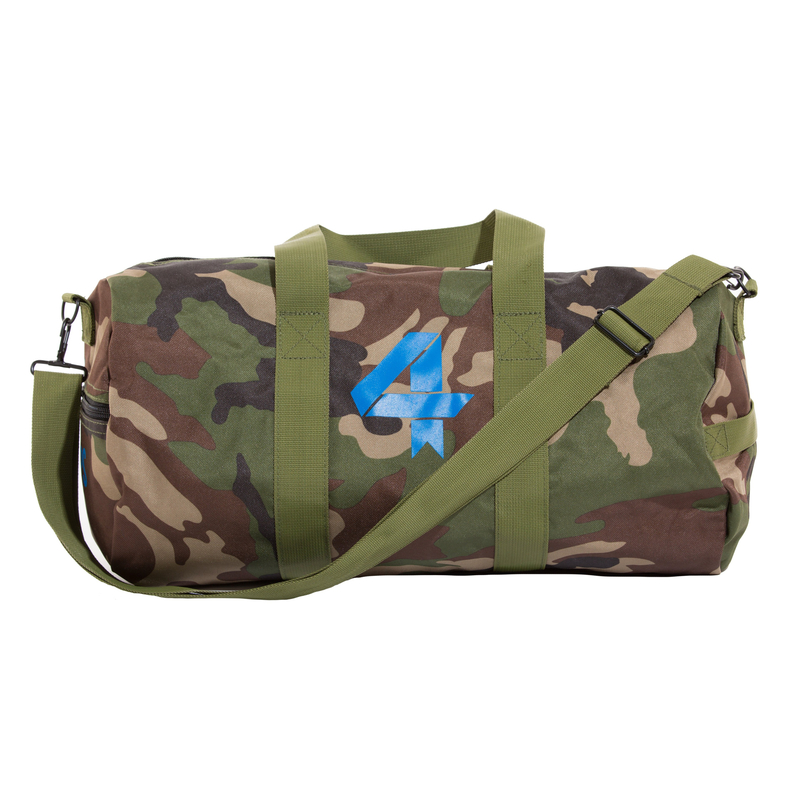 Fourlaps, one of my favorite small-house athletic-wear companies, recently started selling publicly the only workout gear on which I’ve received compliments equally from stylish Manhattanites and Redwood-sized gym rats: An extremely bare bones, cool-as-hell duffel bag. As far as gym bags go, this thing is perfect. It’s small, just about a foot and a half long, and made of tough, camo-printed polyester — but doesn’t, thank God, look like it’s trying to pass as a grunt’s rucksack, nor does it look like it has anything to do with the camo cargo shorts you’d see at a 311 concert.